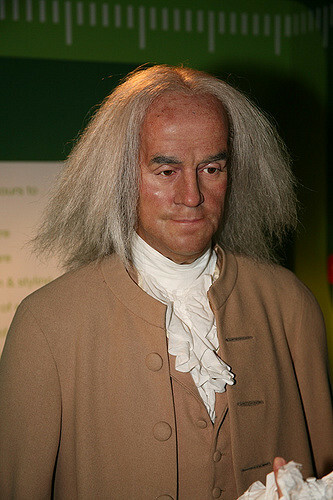 The wax effigy of Benjamin Franklin was an attraction at Curtius's Salon de Cire, a stalwart of the early Tussaud exhibitions in England and is now a crowd-puller at Tussauds in New York and Washington. Franklin, an inveterate self-publicist, would probably not be displeased. 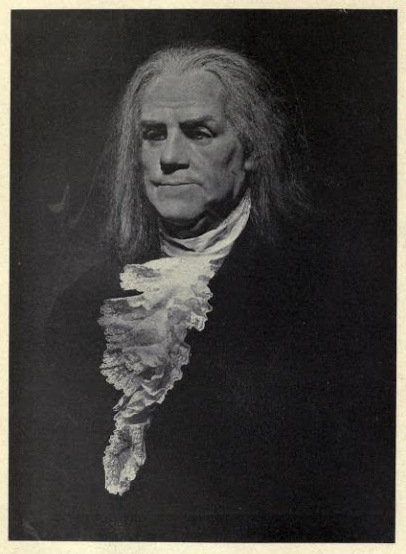 Franklin first visited France in 1766 and 1769. He returned in 1776 to negotiate the treaty of alliance between France and the United States and remained as Minister to France until he returned with Houdon in 1785. Houdon's bust of Franklin in the Metropolitan Museum is dated 1778. 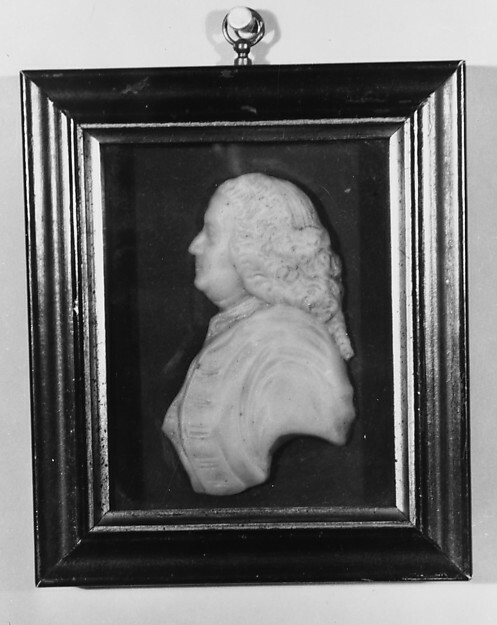 Benjamin Franklin, "Modelled from life by Curtius for his exhibition in Paris"
I employed Mrs. W. to make the head of Franklin, which was often the source of much amusement to me. After it was completed, both being invited to dine with Franklin, I conveyed her to Passy in my carriage, she bearing the head upon her lap. No sooner in presence of the Doctor, than she had placed one head by the side of the other. “There!” she exclaimed, “are twin brothers.” The likeness was truly admirable, and at the suggestion of Mrs. Wright, to give it more effect, Franklin sent me a suit of silk clothes he wore in 1778. Many years afterwards, the head was broken in Albany, and the clothes I presented to the Historical Society of Massachusetts. The suit still exists. In 2012 it was acquired from the MHS by the Smithsonian. In pictures it appears brown, though we are assured it was originally burgundy or plum in colour. As to the exercise of your art here, I am in doubt whether it would answer your expectations. Here are two or three who profess it, and make a show of their works on the Boulevards; but it is not the taste for persons of fashion to sit to these artists for their portraits; and both house rent and living at Paris are very expensive. The dismissive reference to two or three waxwork artists "on the Boulevards" certainly does not suggest close personal acquaintance with either Curtius or his talented niece. Although the full size wax model no longer survives, there is a wax relief of Franklin ascribed to Patience Wright in the Metropolitan Museum. 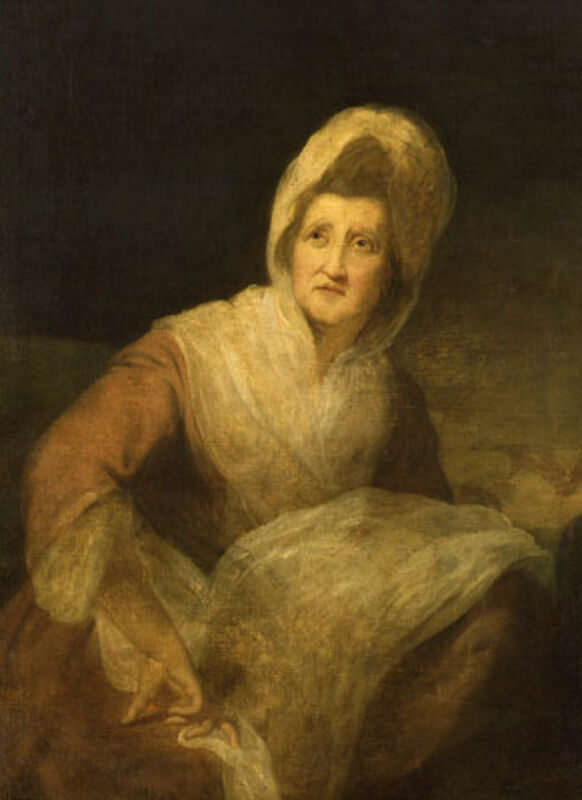 Angela Serratore, "The Madame Tussaud of the American colonies was a Founding Fathers stalker", Smithsonian.com, 23.12.2013. "Smithsonian buys Benjamin Franklin's silk suit", The History Blog, post of 29.08.2012.